Crafting iconic products, combined with an elaborate marketing campaign, produce an aura of exclusivity that is designed to sell luxury fashion to the aspirational luxury fashion consumer; Louis Vuitton, Gucci, Prada and Fendi haven’t created their billion dollar businesses on a select few high net worth individuals. These megabrands have in fact mastered the ability to balance exclusivity with accessibility; which has struck a winning chord amongst luxury fashion consumers across the world. Haute couture, cosmetics, fragrances and small leather goods from luxury fashion brands are coveted by men and women across the world. An example of this would be that the Hermes sale in Paris this January, saw an influx of Chinese tourists who traveled across the globe just to get the thrill of luxury at less. To maintain this exclusivity; year on year Luxury brands increase the price of their products. For instance, some fashion buffs claim that investing in a Chanel 2.55 would yield a better return than investing in the stock market. However, in the post-recessionary economy, digital media and globalization have disturbed this delicate balance of exclusivity and accessibility. By coming on the internet, Luxury fashion houses, have become accessible to the masses and maintaining exclusivity is no longer possible. The aspirational class that had to travel to the brands boutique now can shop online and get it delivered at their doorstep. The item is still expensive and aspirational, but because it is now available over the internet and delivered to the doorstep, the brand equity is diluted. Luxury brands have tried to control this brand dilution by not making their prized products available online. Like in the case of Hermes the brand does not display its trophy bags, Kelly and Birkin, online on its website. But Fendi allows customers to shop both its trophy handbags, Baguette and Peekaboo, online on its website. Case in point being Luxury fashion brands no longer have the luxury of not being online. And while some can try and maintain exclusivity around a certain product of theirs, maintaining the exclusivity of the brand seems quite a difficult task. What gets more complicated for luxury fashion houses is to justify the heavy price tag of their item to the luxury fashion consumer when fast fashion retailers are able to copy and mass produce their collection with ease. The luxury fashion industry’s worst nightmare is that the internet and social media are able to spread images of its new collection with such velocity that fast fashion retailers have ample time to copy the looks of their collection while the originals are still in production. To counter this, brands like Burberry, Prada, and Michael Kors follow the ‘see now buy now’ concept; wherein their entire collection is shoppable the moment it comes off the runway. Alexander Wang took this idea a step further. He showed pictures of his 2017 resort collections to retailers and fashion magazine editors. The public only came to know about his collection in October once it was available in the store. Unfortunately both these concept have not been helpful to keep the fast fashion retailers like Zara and Forever 21 at bay. 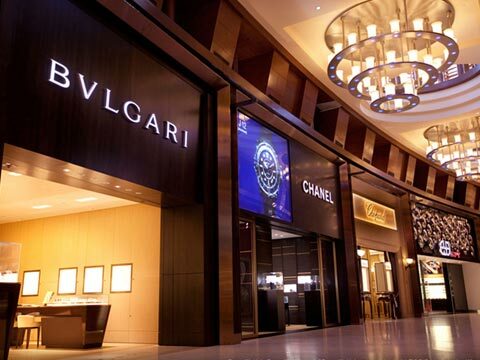 The business of luxury resale is booming across geographies. Some analysts claim it’s the low price point that excites the young Luxury fashion consumers while fashion insiders say it’s the lust for a markdown that makes it exciting to shop. However many customers who shop from these websites; say it’s the exclusivity aspect that excites them. The kind of exclusivity that comes with a vintage Louis Vuitton handbag will not come from an ordinary Louis Vuitton handbag available in a Louis Vuitton boutique; no matter how much ever expensive it is. This is not only in the case of fashion that is tagged vintage or limited edition; according to Google Search Trends, searches for “90’s fashion” are up 40% year on year. It is fair to say that in the world of fast fashion there are a quite a few who prefer to indulge in the luxury fashion of the 80’s, 90’s and early 2000. This makes the case for pre-owned luxury portals further more interesting. Not only are these website able to provide the latest collection of luxury brands but also the treasures of the past. Internationally, thrift stores have played on the exclusivity factor brilliantly well and online consignment stores are able to replicate this with ease. When Marc Jacobs was the creative director at Louis Vuitton, he had collaborated with a famous painter and photographer Richard Prince for the 2008 spring summer collection. Handbags that were showcased in this collection are coveted by fashionistas across the world. Needless to say that a handbag from this collection will no longer be available in a Louis Vuitton boutique, but perhaps at a website that sells pre-owned luxury, the case might be different. Further to this, the adventure in discovery and the chance to really find something that is exciting and shareable keep the customer of a pre-owned website visit it again and again. Thereby generating some sort of brand loyalty. The race to showcase more exclusive luxury fashion is on amongst websites that sell pre-owned luxury. While some concentrate on bringing handbags of luxury fashion houses from a different era, quite a few have been able to get vintage Chanel Jewelry. One of the most interesting aspects of the Indian Luxury market is that predominantly most luxury shoppers in the past shopped on their trip abroad, so when these luxury shoppers consign their items, they make unique and beautiful items available to second-hand shoppers. The availability of these items and the accessibility to Emi’s makes the second hand shopper fulfill her aspiration with ease without denting her bank balance. Pre-owned Luxury website have been able to provide exclusivity without the heavy price tag that usually a luxury designer item carries. However for websites that sell pre-owned luxury, just being able to make exclusive items available on its portal is not enough. The sale of the exclusive item is just one aspect. The luxury customer needs to find the entire process a seamless journey, from swiping the unique product on their iPad to unboxing their purchases.